We do not curently have theatre tickets available for Miss Saigon. This could be because we have simply sold out or it could be that this show is no longer running. The information on this page remains purely for historical and informational purposes. 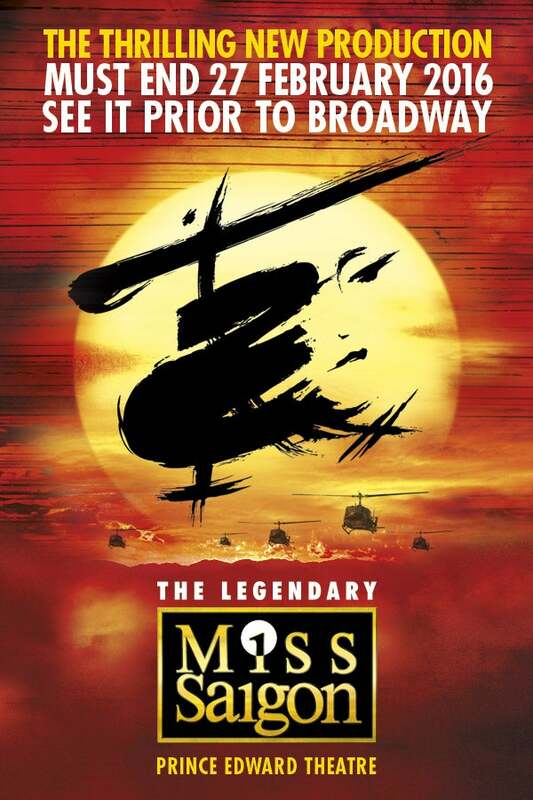 Make sure you catch the multi-award-winning Miss Saigon, from the creators of Les Misérables, before it takes its final flight at the Prince Edward Theatre on 27 February 2016, prior to opening on Broadway. Book now to experience a true masterpiece and one of the greatest contemporary musicals of all time.